The plane departed Denver in pitch darkness and pouring rain. It was going to be a long flight, nearly 6 hours, and I settled in for a nap in the tight quarters of my small airline seat. When I awoke I was surprised to find growing light in the sky outside the small window. It was 11:30 PM; we were flying north and headed to the land of the midnight sun. Does it ever get truly dark? This was the question I asked the shuttle driver who picked us up at the airport in Fairbanks. It was now nearly 1:00 AM, and the driver replied, "you mean it isn't dark right now?" The sky was the beautiful glow of sunrise and nearly hunting light if one was so inclined to do so. I had expected this and felt fully prepared to deal with it as I normally work nights and sleep during the day, but until you see it you can not truly fathom what it is like. Everything went according to the plan on the first day of the trip, if not better than we had hoped for. Frontier Airline's customer service was exceptional. 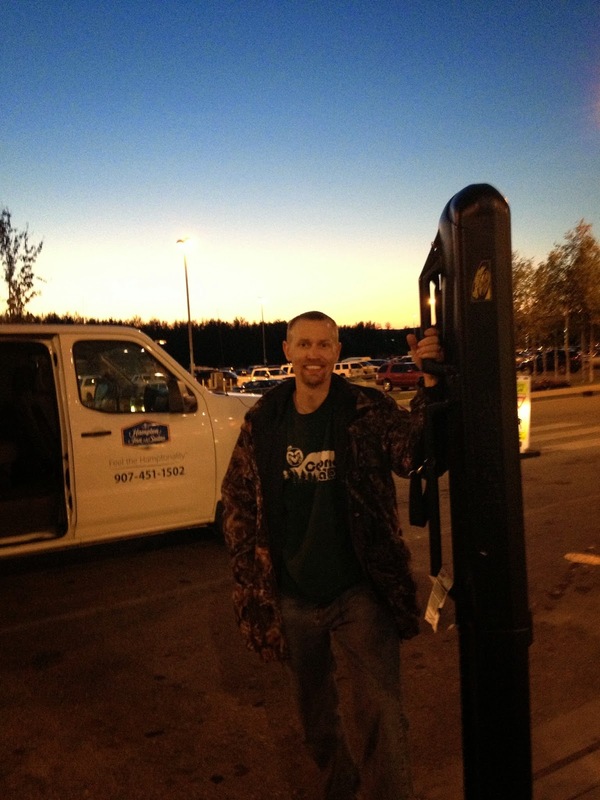 They did not charged us oversize fees for our rifle/bow cases, and I even saw a bag that was 54 pounds somehow pass for 50 pound limit check. Security screening was rapid and we had no difficulty with the process for checking our firearms. 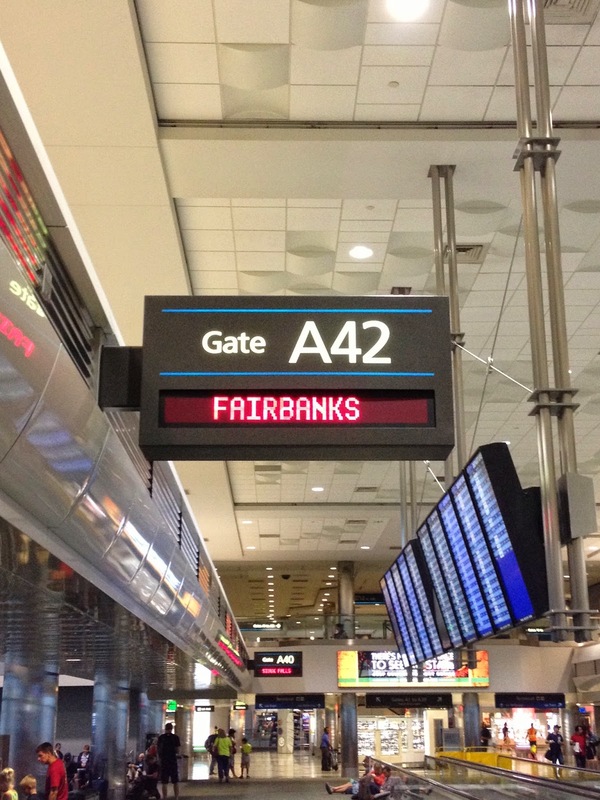 We expected mosquitoes, and had been forewarned by several Alaskan residents whom were on the flight about them. As we walked out of the Fairbanks Airport we were assaulted by droves of the annoy bloodsucking pests. Just posing for the tilted picture of this post was a delicate dance of timing as I swatted the pestering insects. Of course all of the bug spray, head nets, and Thermacells were neatly packed away in our luggage and nearly inaccessible at that point.